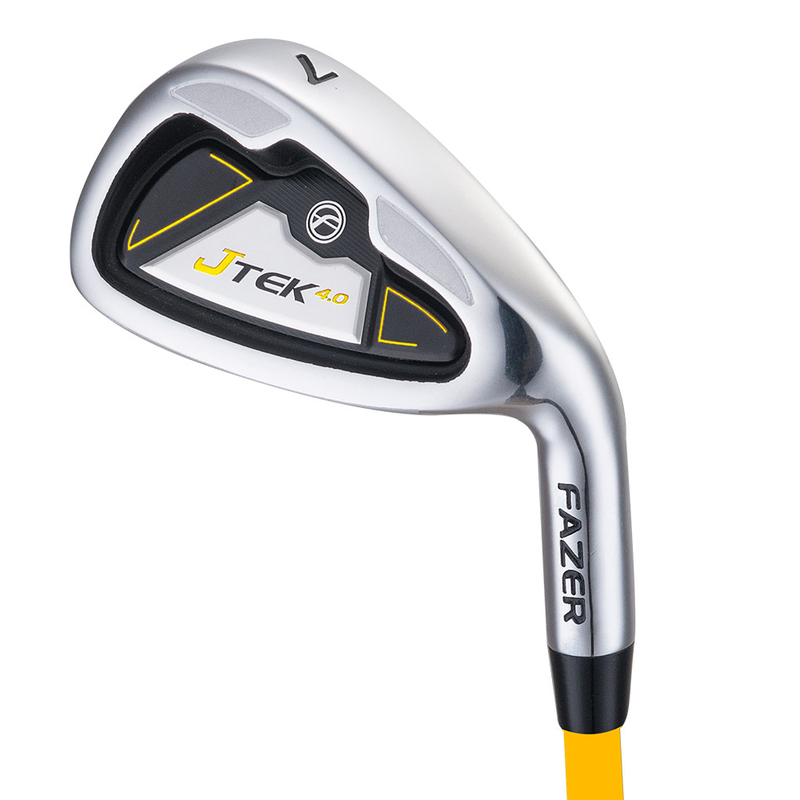 The Fazer J Tek 4 Age 6-8 Junior Package Set is ideal starter set for the next junior golf star. 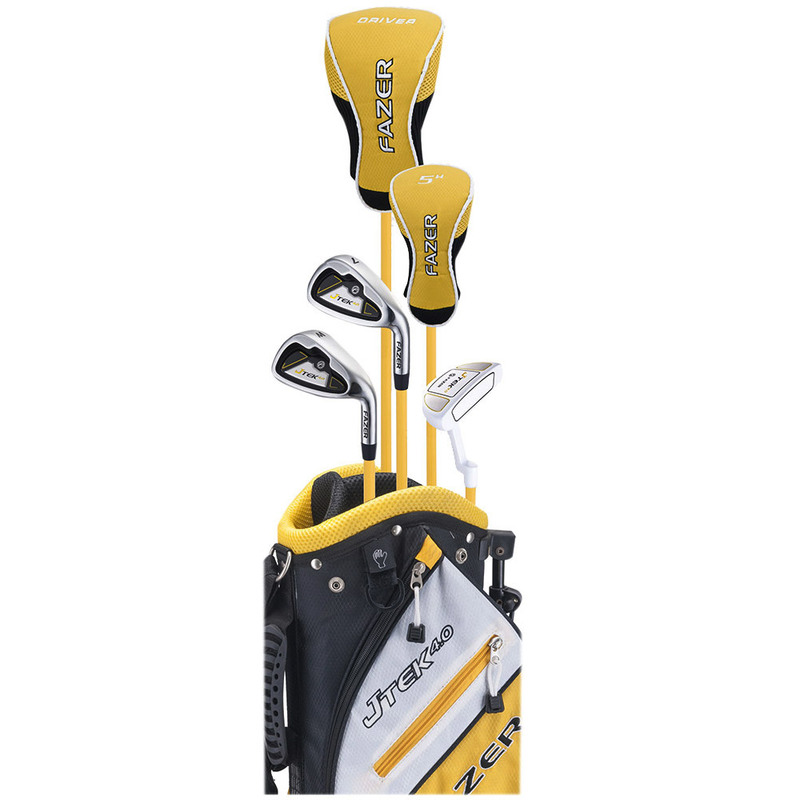 The Fazer J Tek 4 Age 6-8 Junior Package Set comes complete with a lightweight stand bag made from a nylon material and has easy to release stand legs. 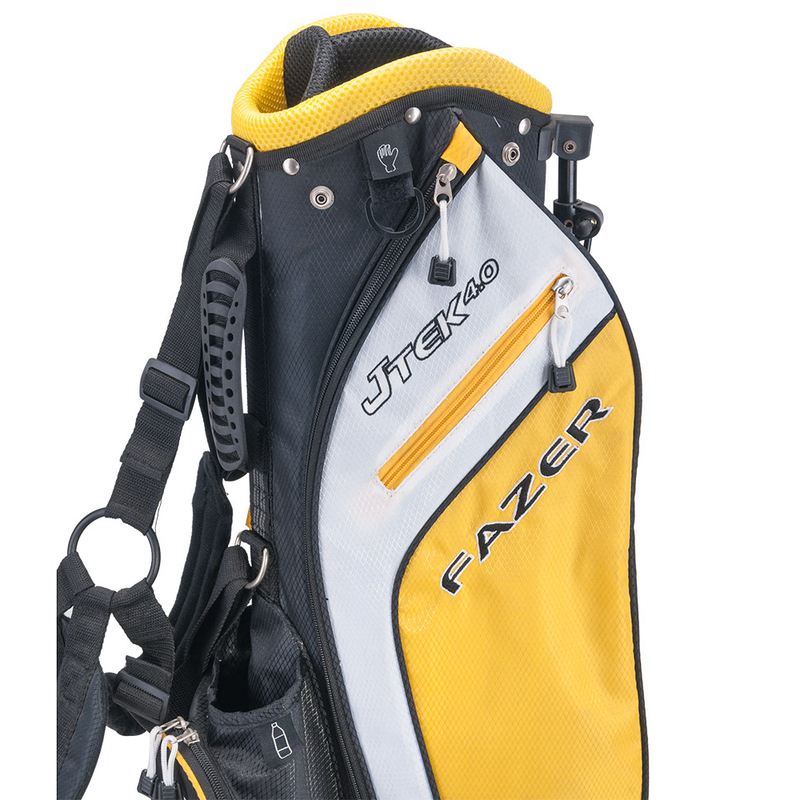 The bag features a 5 way divider with a soft material top which will provide graphite shaft protection. 4 zippered pockets and a convenient mesh sleeve which could be used for golf balls or glove storage. Ensure you stay comfortable with a dual shoulder strap that will evenly distribute the weight of the clubs during your round of golf. 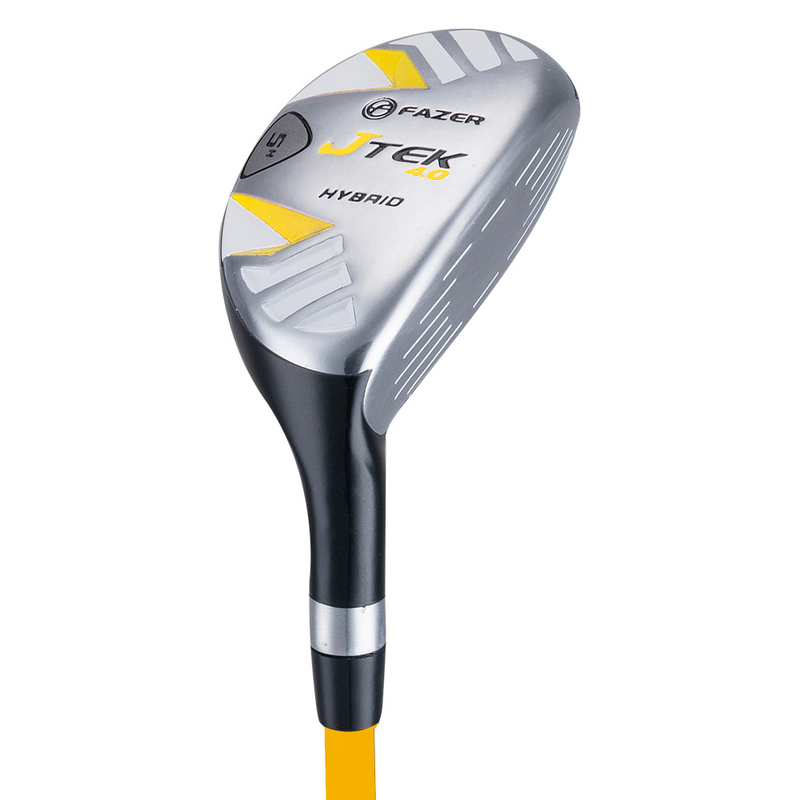 The oversized and ultra-lightweight driver features a high loft to promote the ideal launch on the tee. 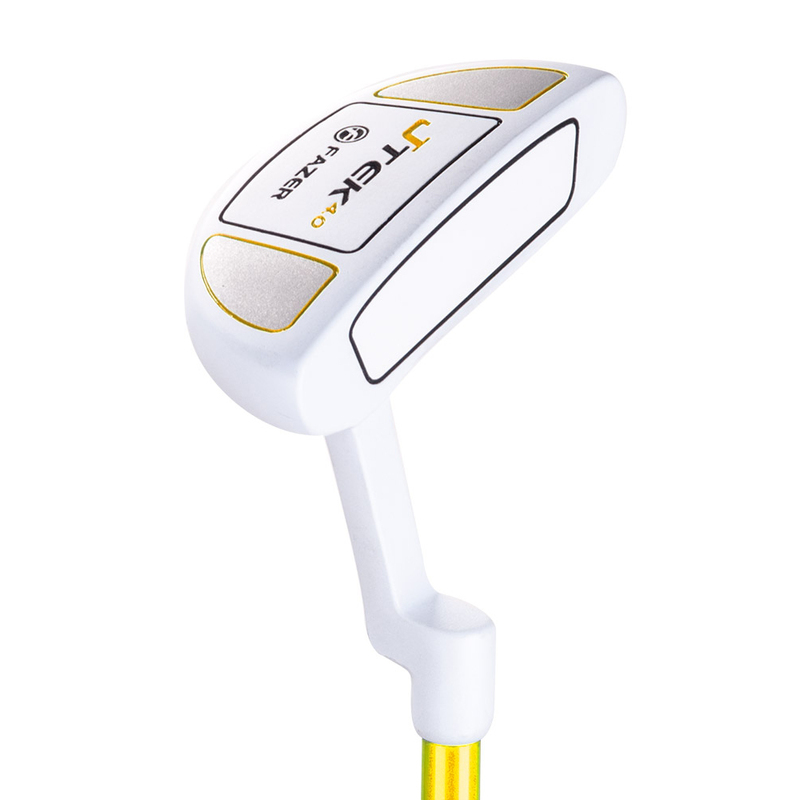 The package also has a easy to hit hybrid which is like a mini wood and replaces the difficult to hit traditional long iron. The graphite shafts are suited for the young golfers swing speed and is topped with a high quality rubber grip and head covers. The perimeter weighted, cavity back 7 & Wedge has a thicker top line which will promote extra forgiveness and increase playability. 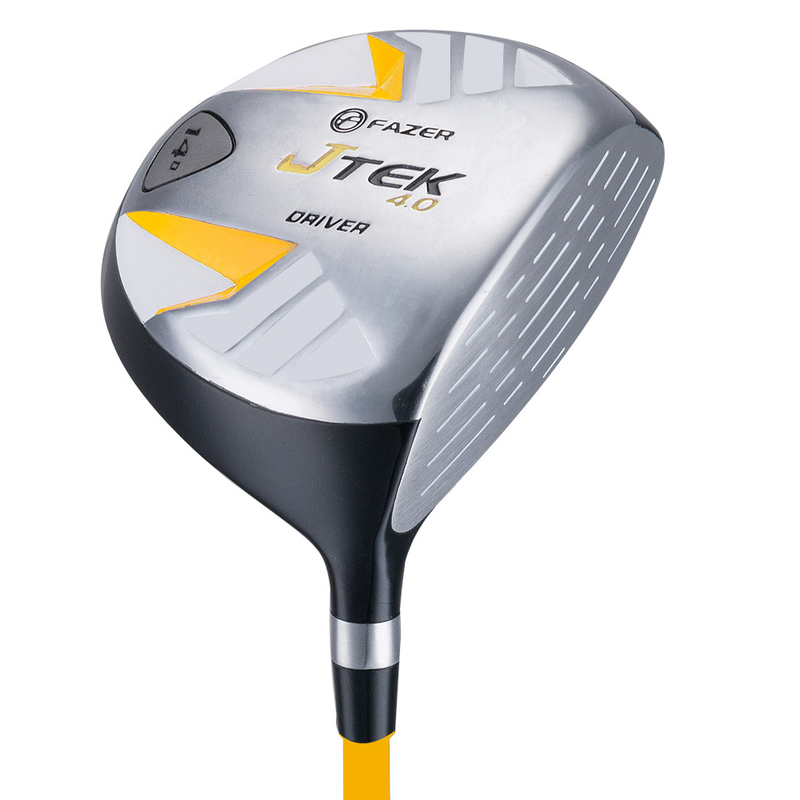 A lightweight durable stainless steel head and lightweight graphite shaft are perfect for the junior golfer. 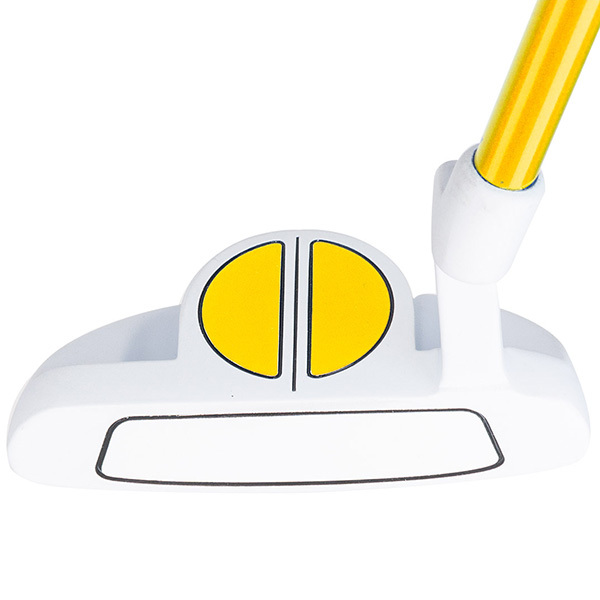 A semi mallet style putter has a special sight alignment aid promoting solid confident putts. The putter has a soft style putter grip that will suit a variety of hand sizes. 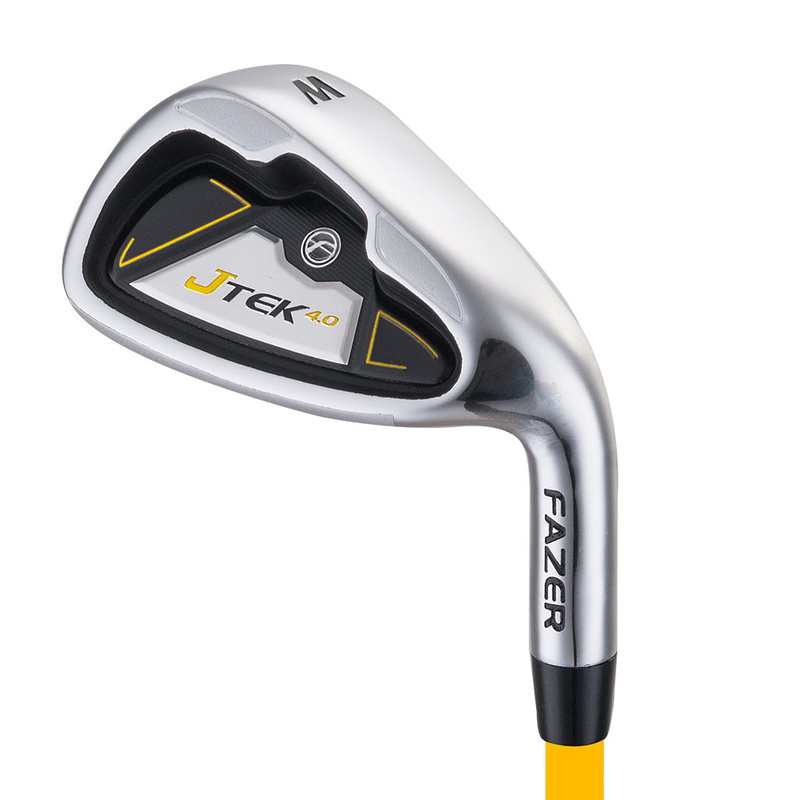 Ensure the junior golfer has the best start with this fantastic Fazer J Tek 4 Age 6-8 Junior Package Set.